For some time now, I have been into genealogy, exploring my family history. My great grandmother was Mary Jane Baker, born in Liverpool, England in 1870, of Irish parents. She came to New York with her parents and brothers when she was 3 years old. 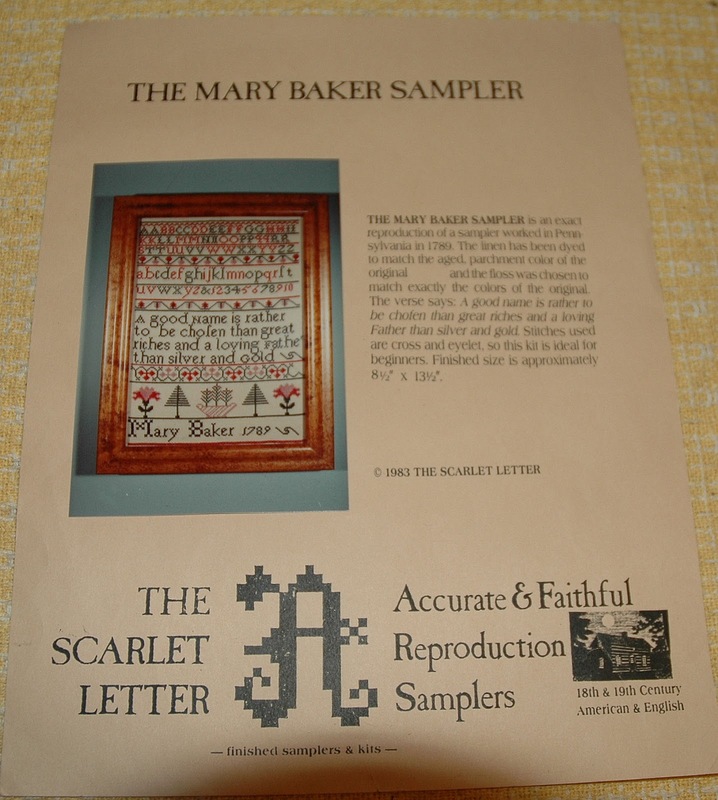 When I saw The Mary Baker Sampler, I knew I had to stitch it! Of course, this Mary Baker is not a relative of mine, but I thought it would be fun to have her name on my wall. 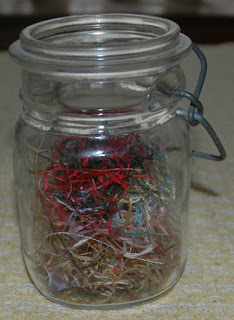 I am using DMC on 30 count linen. The piece of linen didn't seem to be that big, so I chose to start in the center and work my way up. 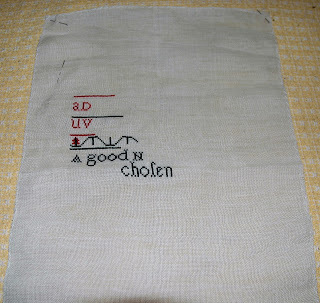 Most of the sampler is stitched in green and red, with a touch of pink. The verse is stitched in black. This seems to be a very quick stitch. I have already made more progress. I will be back in a few days with another photo. I almost forgot the TUSAL! This month went so very quickly! All the red and green on the top is from Mary Baker. My DH has done lots of genealogy. 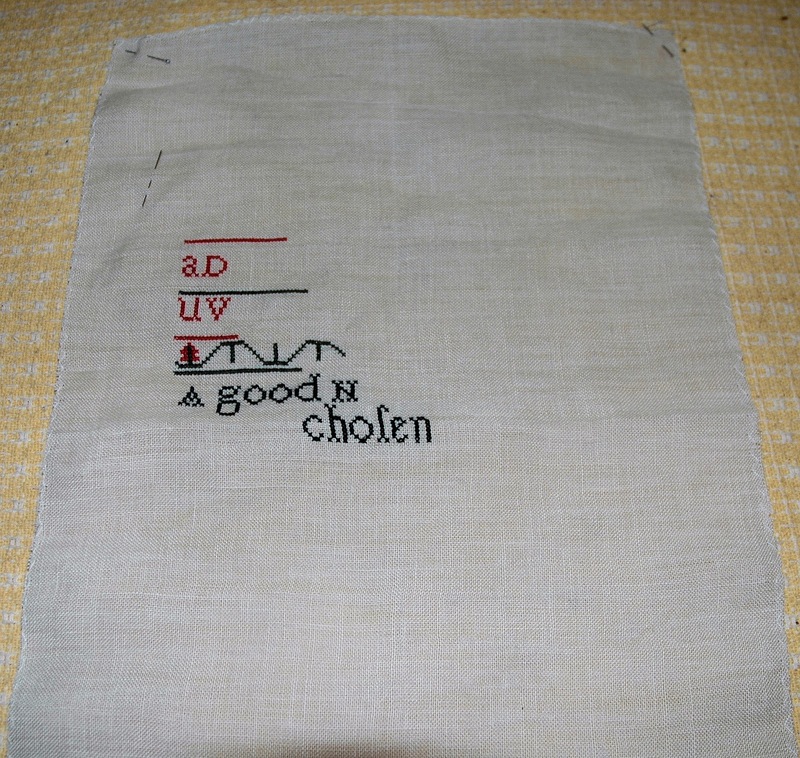 How very special to find a sampler with a family name , even if it is not your family. It looks like a fun sampler. It's beautiful! So fun that you have a Mary Jane Baker in your family. This samplers going to look super when completed, and I love the Mary Baker reference. What a lovely new project. I'd love to find a sampler with my husband's family name as he has done a lot of research and I think it would be a fun thing to have hanging in the house. Nice new start - enjoy!